The Northern Territory Government won office in 2016 with an election commitment to achieve 50% renewable energy generation in the electricity sector by 2030. An Expert Panel was established to develop a roadmap to achieving this target. The Panel’s report was completed in late 2017 and the Government has agreed, or agreed in principle, to support all 11 of the Panel’s Recommendations. Alan Langworthy, the Expert panel Chair, will speak to the Panel’s deliberations and Recommendations with particular reference to some 50 Enabling Actions that accompany the Recommendations. These Enabling Actions outline detail actions required to establish a “level playing field for all new generators on the network” and provide insight into the current state of play in the electricity system of the NT. The proposed transition, in the electricity system, to a much higher renewable energy content is to be expected given the recent significantly lower energy costs being offered by proponents. There are significant opportunities for local business and the gas industry generally in the “future grid”, however, the status quo cannot be the norm. Industry needs to adapt to this new “future grid”. 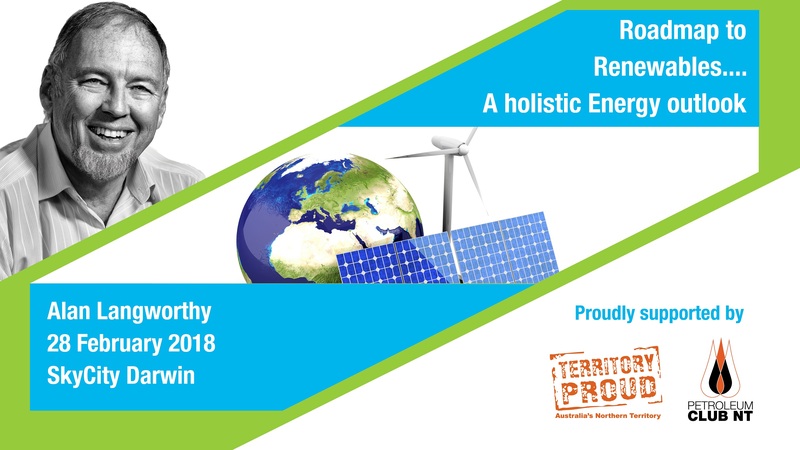 Alan Langworthy has more than 40 years experience in the renewable energy sector including significant experience in network connection of renewable energy plant. He built a company developing new technology to achieve network stability in soft grids and advanced multi plant control systems. He sold this to ABB in 2011 after 20 years of successful operation and global expansion, installing systems from Antarctica to the Azores. The Roadmap to Renewables (1.5 mb) report was delivered to Government and was released on 27 November 2017 together with the Government’s response.